Daffodil season is here! 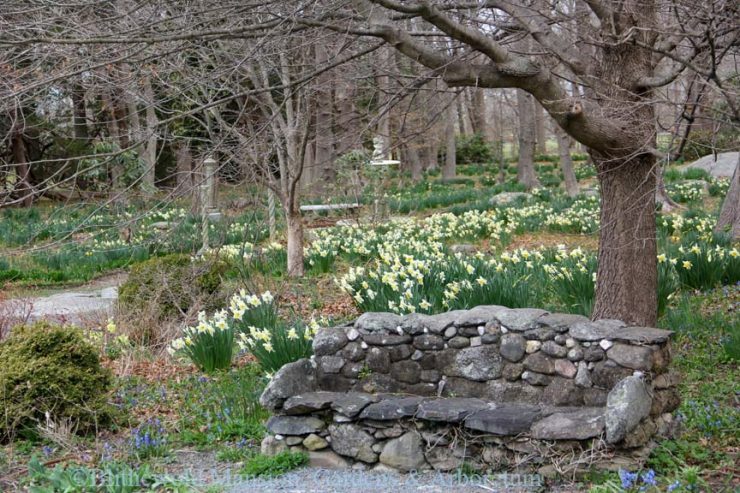 Gail and I have been debating daily when the precise peak will be; but, no matter who turns out to be right, you can know for sure that more and more daffodils will be open every day. 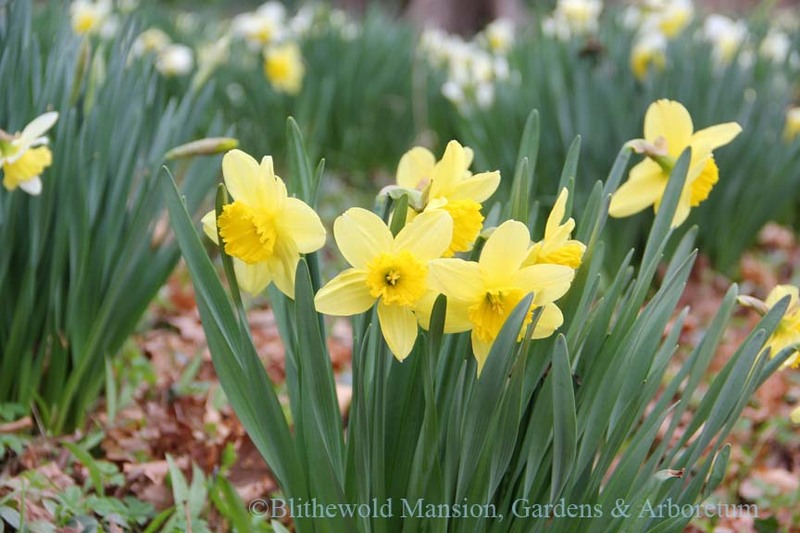 We agree that right now the daffodils are about 25 – 30% blooming. 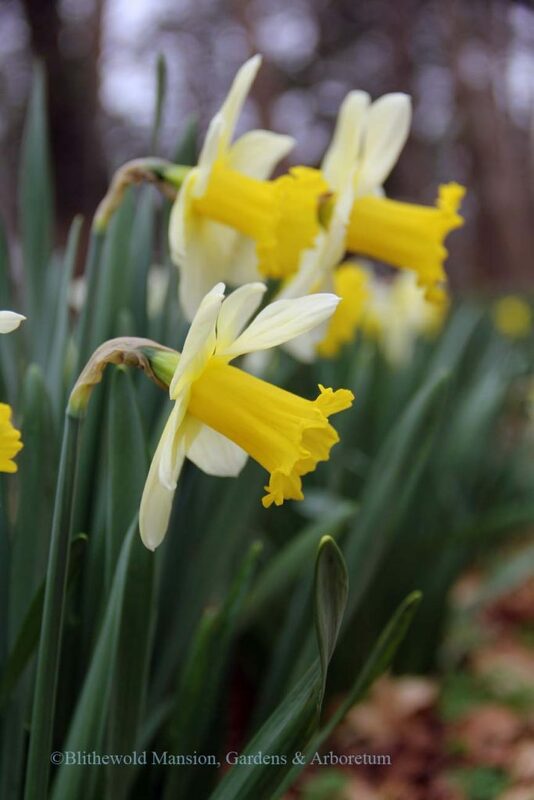 Narcissus ‘Ice Follies’ has been stealing the show this week. A truly reliable early bloomer, ‘Ice Follies’ dances across the Bosquet with brilliant flashes of white and yellow. There’s just three days between these two photos, but you can see that many more ‘Ice Follies’ have opened. That’s the beauty of April – it brings with it more and more daffodils until the explosion of other spring blooms happens in May. 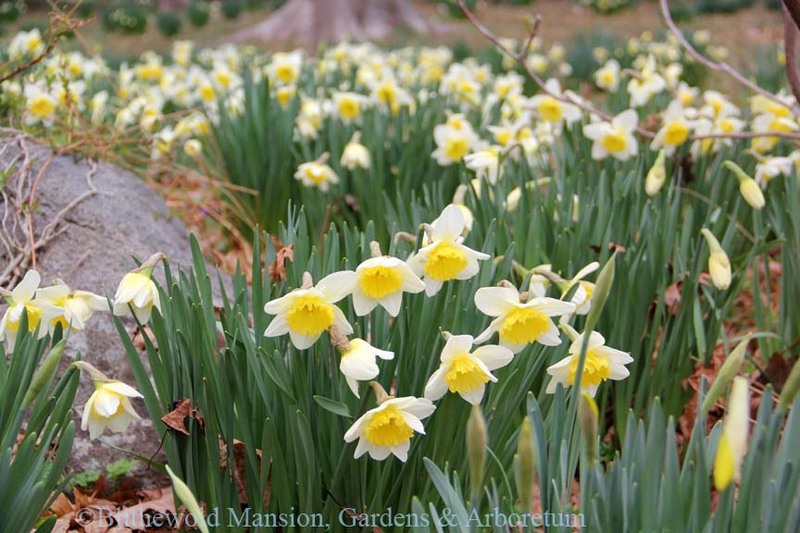 Narcissus ‘King Alfred’ will be opening shortly along with a slew of other mid-season daffodils. 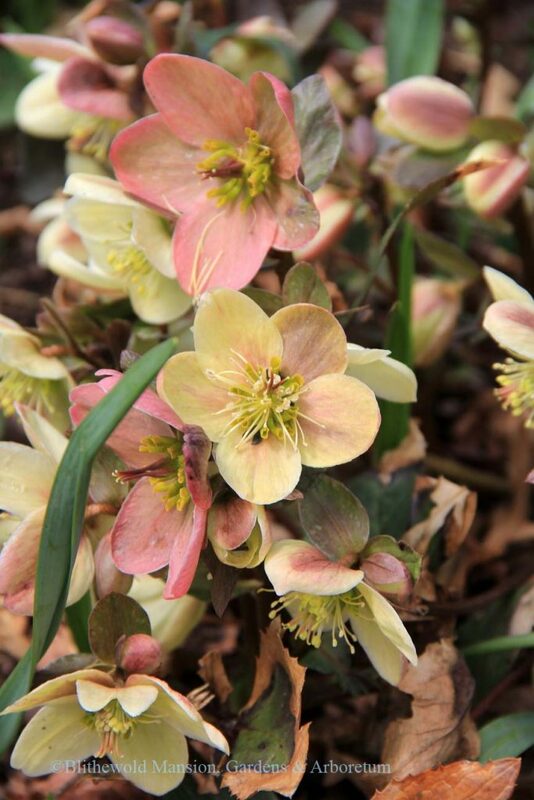 There are several varieties currently blooming right now, some of which we are still attempting to identify. 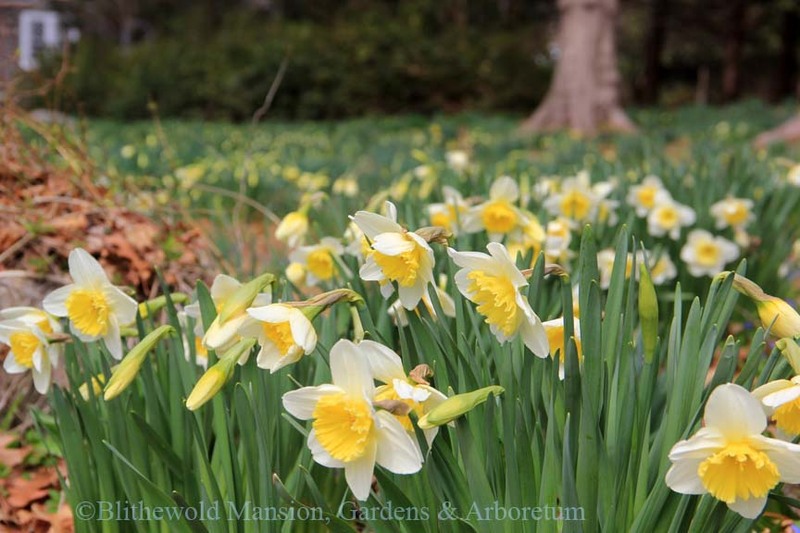 All in all, we have about 50 different varieties of daffodils here at Blithewold. 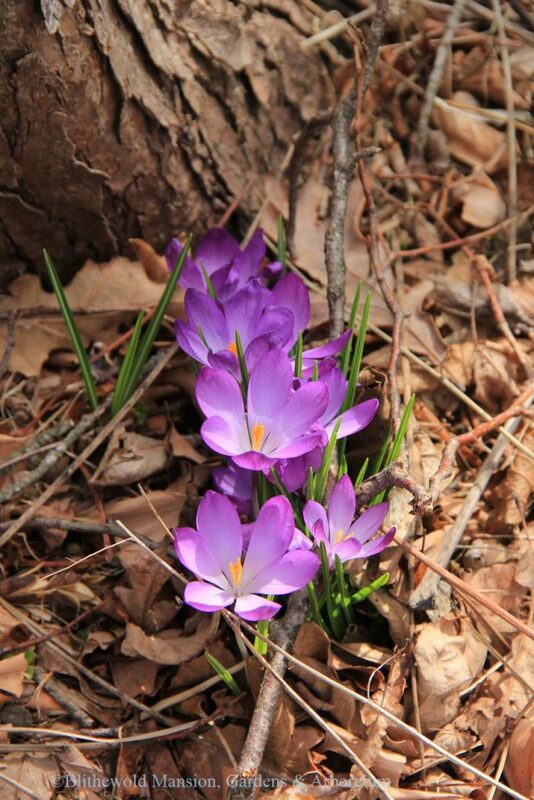 Although the daffodils always steal the show in April, there are plenty of other supporting actors. 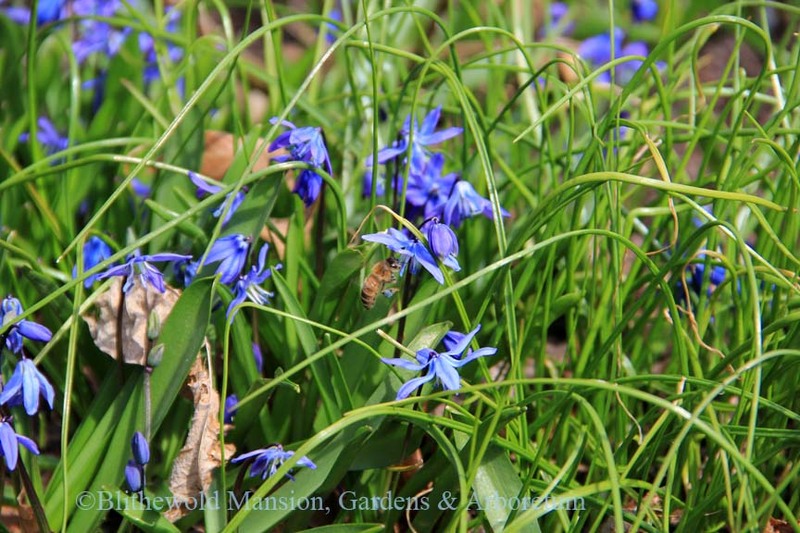 Siberian squill (Scilla siberica) creates a sea of blue, especially in the Rose Garden. The trademark blue pollen is a really fun sight in spring – you can see it on the back legs of the honey bee below and covering his belly in the second picture. 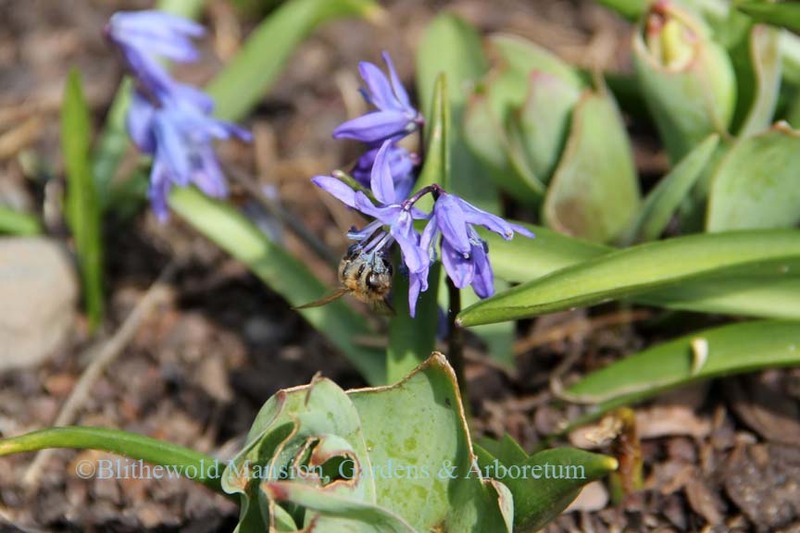 honey bees enjoying the pollen-laden squill flowers. 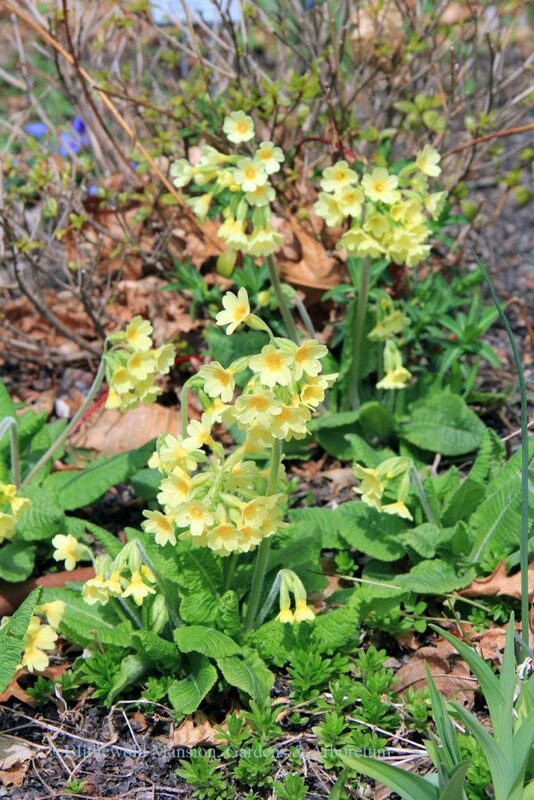 I’d be remiss if I didn’t mention the pretty yellow oxlips (Primula elatior) blooming at the edge of the Bosquet in the North Garden. They’ve been bringing cheerfulness for some time now. I’m always thankful that Gail wanted to plant them here. It’s the perfect little spot. 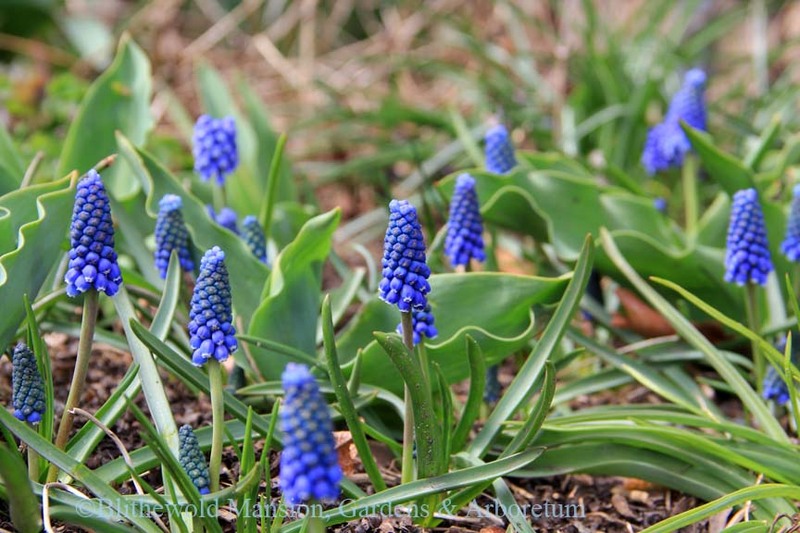 Here are a few other early spring blooms who are currently gracing us with their presence. One of my favorite parts about being a horticulturist is watching the daily changes that occur in nature, especially here at Blithewold. We work hard to make sure there is always something beautiful to experience, no matter when you visit. 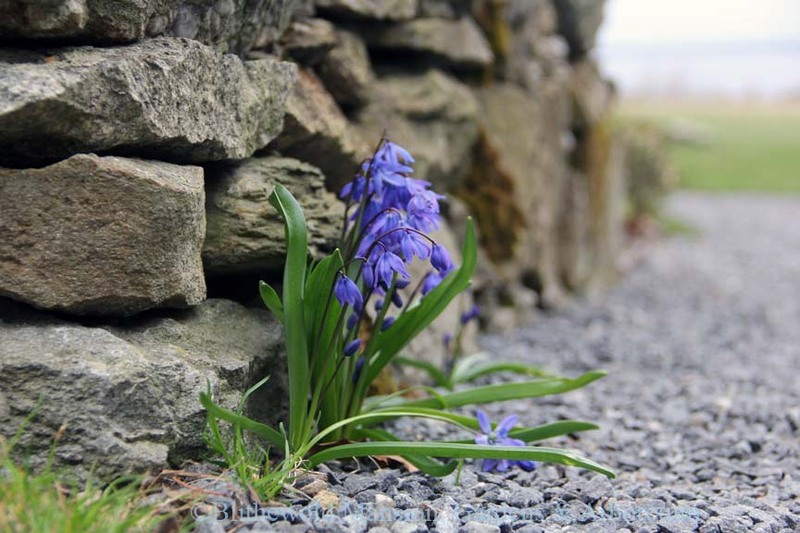 Luckily, nature gives us a lot to work with to make that happen.